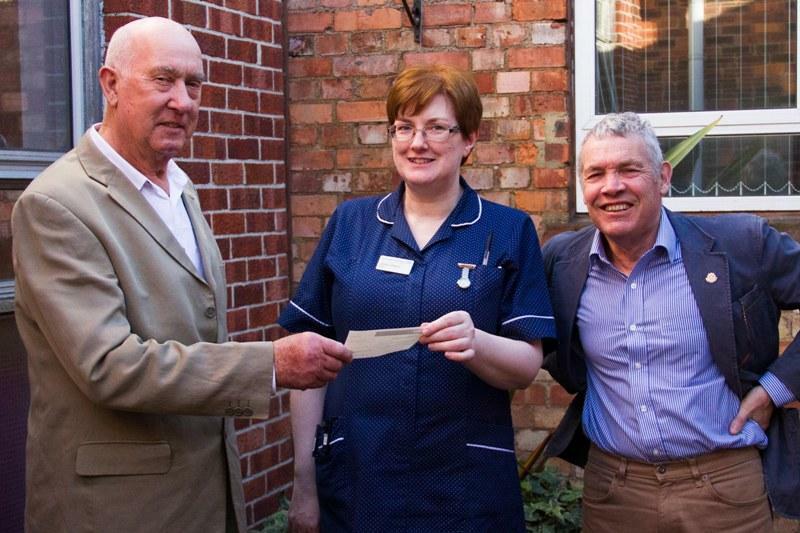 Mike and Norman present a cheque for £1,000 to Caroline Gilleece, Matron overseeing the William Budd ward in the Oncology Department at RUH, for the William Budd Endowment Fund which supports the work done on the ward. The funds were raised from our concert at Writhlington school last November. (Tony Whitchurchs wife Brenda was a patient at the William Budd ward when diagnosed with Leukaemia).